Never A Dull Moment at Fremont Hills! 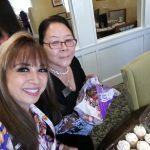 Happiness is a choice and here at Fremont Hills we choose to be happy. 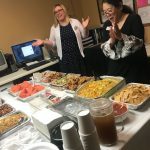 Happy staff makes for happy residents! The energy was definitely high yesterday morning when Chef Dan wanted to play some music in honor of Aretha Franklin who passed away from cancer. Our Director, Joan Newman, came out of his office dancing with Chef Dan following behind her holding his “Boom Box” also dancing. Within minutes, everyone was dancing to the music, in high spirits which set the tone for the day. 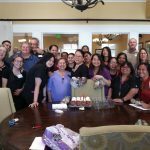 Birthdays are a big deal not only for the residents, but also for the staff. 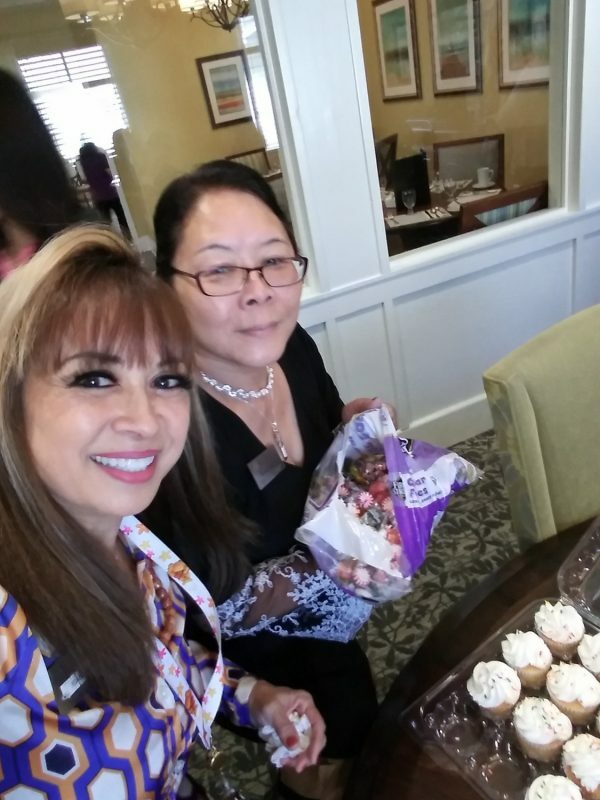 Today we celebrated the birthday of one of our Sales Director’s, Rhoda Takeda, with treats for the staff & residents and a potluck. 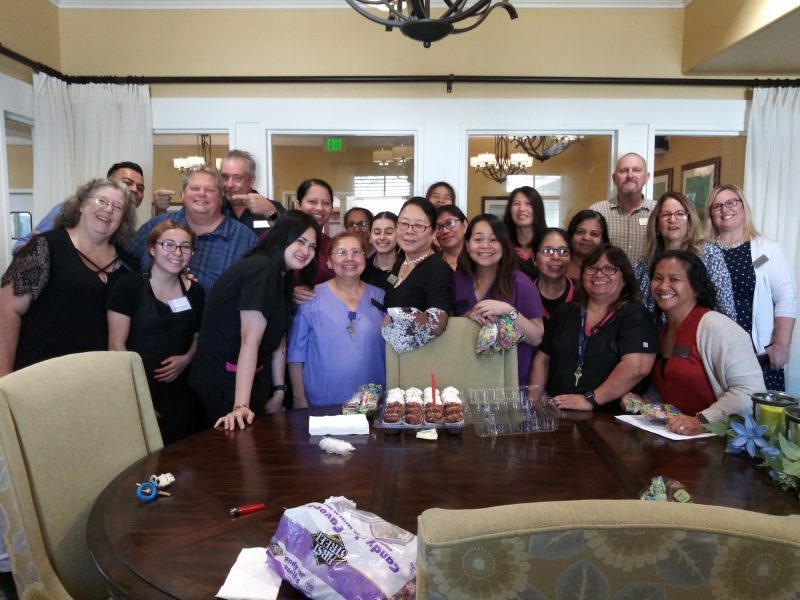 We have a great team here and we look forward to each day hoping to make a difference in the lives of our residents. Director Joan Newman gets her staff ready for the day with music & dancing before Stand Up! 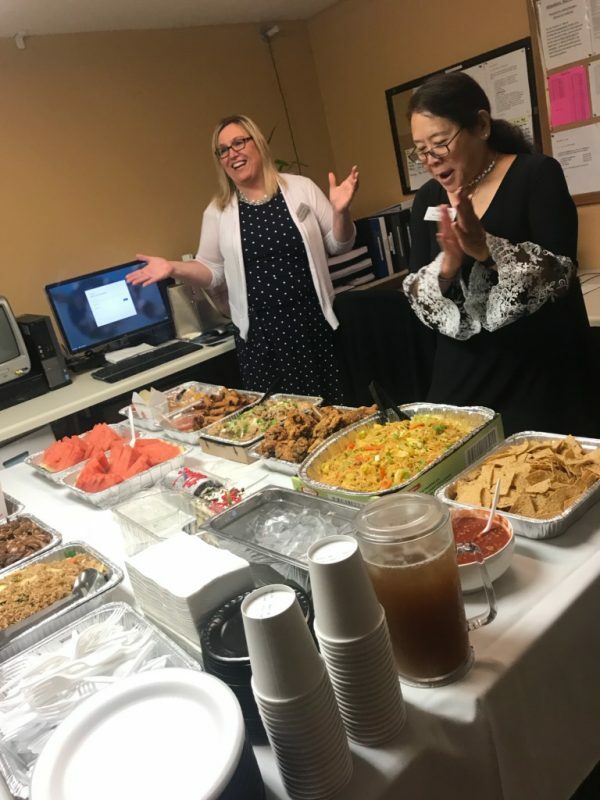 Happy staff makes for happy residents!